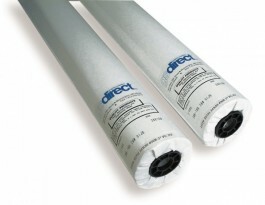 GS Direct 17 lb Manual Drafting Vellum - GS Direct, Inc.
100% cotton fiber base and then transparentize it using our proprietary process. This patented process uses no Volatile Organic Compounds (VOCs). A specially engineered surface that accepts ink uniformly and achieves the greatest possible density without pooling or running. Excellent line quality is achieved with no feathering. Works well for manual drafting & large format printing/plotting.